The member list is the screen shown when viewing members in a club or team. You can customise the information that appears in this list through the Member List Display. 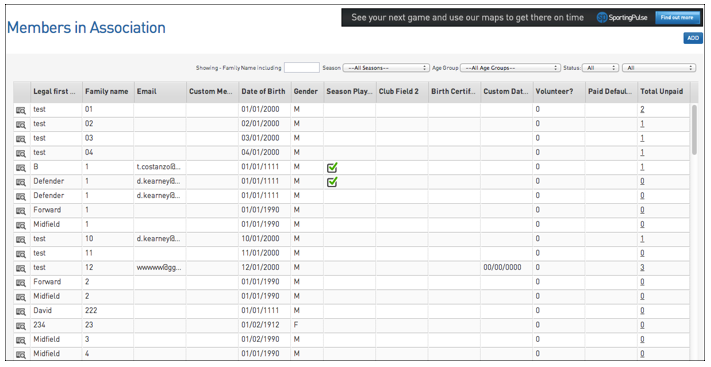 The fields chosen will apply for the member list as viewed at the association level, club level and team level. 1. From the Association level of the database, click on the Configuration icon and select Settings. 2. Under 'Change How Information Displays', click on Member List Display. 3. 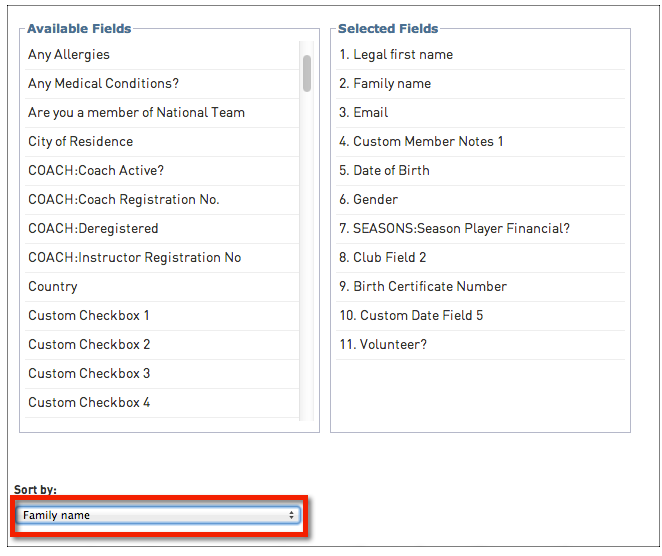 The box on the left hand side contains a list of available fields, while the box on the right hand side contains a list of fields currently being used in the member list. 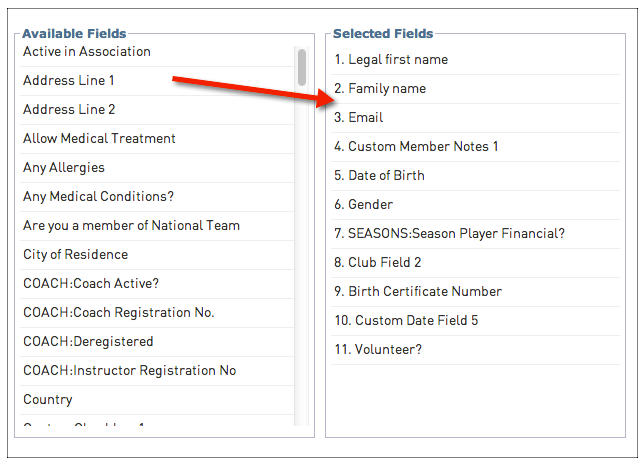 To add a field to the member list, click on the field under 'Available Fields' and while holding down the mouse button, drag and drop the field to the right hand side under 'Selected Fields'. 4. If you need to remove a field from the member list, drag and drop the field from under 'Selected Fields' into 'Available Fields'. 5. If needed, arrange the fields into the order that you want them to display on the member list (ie. the order of columns from left to right). To do this, drag and drop the fields within 'Selected Fields' vertically into the desired order. 6. Click on the 'Sort By' field and from the drop-down list select a field to sort the list by. For example, you may want to sort the list by 'Family Name' or 'National ID Number'. This will be the default order in which the member list is sorted when you initially open the member list. From there you can manually sort the list by clicking on any column heading.